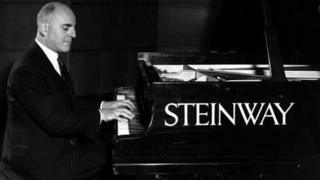 Steinway, maker of the famous pianos, is being acquired for $438m (£288m) by the private equity firm Kohlberg & Co. The 160-year old firm had previously announced it was looking for a buyer. Steinway Musical Instruments also produces Bach Stradivarius trumpets, Selmer Paris saxophones, and CG Conn French horns, and holds more than 127 patents for musical instruments. Kohlberg will pay $35 per share, 15% more than the stock's closing price on Friday of $30.43. "Our agreement with Kohlberg represents an exceptional valuation for our shareholders," said Michael Sweeney, chairman and interim chief executive. Shares in the firm were up more than 15% following the announcement, and have risen more than 70% this year. The company, which was founded in 1853 in lower Manhattan by German immigrant Heinrich Engelhard Steinweg (later Henry E. Steinway), still has manufacturing facilities in Astoria, Queens and Hamburg, Germany. Kohlberg partner Christopher Anderson said the firm was looking to help Steinway expand globally, "while ensuring the artisanal manufacturing processes that make the company's products unique are preserved, celebrated and treasured".